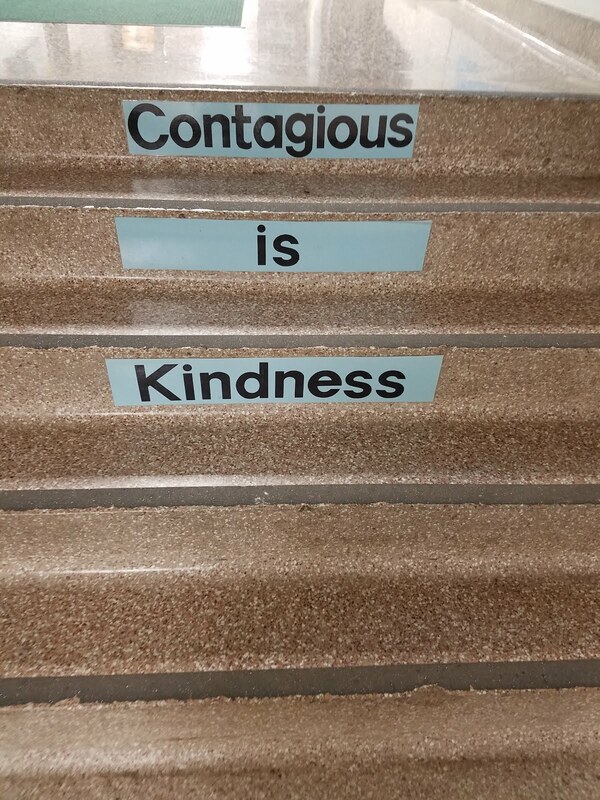 Saw this on the stairs today. I had just wrapped up teaching some 5th graders about germs and how they spread. I was walking (kinda running) down the hall to another classroom to help with a skype issue when I saw this. I love this idea and fully believe in it. It is like karma, just put that kindness out there. The world does not always return it to you but that kindness will land on the person who needs it. This idea opened me up today. This message set on a better path. I’m sure after a while it becomes invisible to some but not me, not today. So what is your kindness that you will set free into the world?